In 1965 English scientist James Lovelock had a flash of insight: the Earth is not just teeming with life; the Earth, in some sense, is life. He mulled this revolutionary idea over for several years, first with his close friend the novelist William Golding, and then in an extensive collaboration with the American scientist Lynn Margulis. In the early 1970s, he finally went public with the Gaia hypothesis, the idea that everything happens for an end: the good of planet Earth. Lovelock and Margulis were scorned by professional scientists, but the general public enthusiastically embraced Lovelock and his hypothesis. People joined Gaia groups; churches had Gaia services, sometimes with new music written especially for the occasion. There was a Gaia atlas, Gaia gardening, Gaia herbs, Gaia retreats, Gaia networking, and much more. And the range of enthusiasts was—and still is—broad. In The Gaia Hypothesis, philosopher Michael Ruse, with his characteristic clarity and wit, uses Gaia and its history, its supporters and detractors, to illuminate the nature of science itself. Gaia emerged in the 1960s, a decade when authority was questioned and status and dignity stood for nothing, but its story is much older. Ruse traces Gaia’s connection to Plato and a long history of goal-directed and holistic—or organicist—thinking and explains why Lovelock and Margulis’s peers rejected it as pseudoscience. But Ruse also shows why the project was a success. He argues that Lovelock and Margulis should be commended for giving philosophy firm scientific basis and for provoking important scientific discussion about the world as a whole, its homeostasis or—in this age of global environmental uncertainty—its lack thereof. 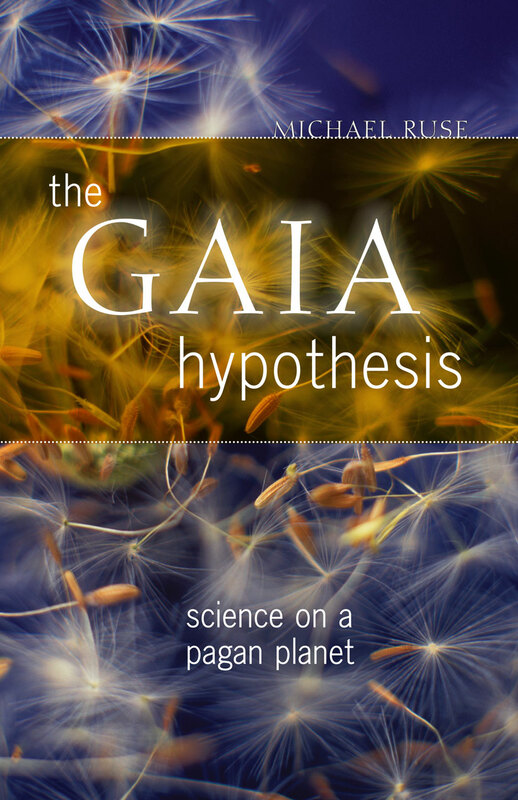 Melding the world of science and technology with the world of feeling, mysticism, and religion, The Gaia Hypothesis will appeal to a broad range of readers, from students and scholars of the history and philosophy of science to anyone interested in New Age culture. "Explores the philosophical and historical bases of Gaia’s principle, beginning with Plato and taking readers up to the present with modern ecology and evolutionary biology. . . . There are few people writing today more qualified than Ruse to take on this job. He has the history and philosophical skills to tackle the literature across millennia, and his three-decade immersion in evolution allows him to read critically from complicated sources. Best of all, he still knows how to write in a way that makes philosophy and science fun." "Anyone interested in the Gaia hypothesis--its history, its philosophical underpinnings and the scientific controversy over it in the mid-twentieth-century--will find this book an exceptionally interesting read." "Fascinating. . . . A refreshing reminder of just how much the scientific enterprise is a social phenomenon, both in its inner workings and in how it is affected by the broader social milieu." "Written with Ruse’s usual flair and attention to the relevant evidence (that he shows is itself rich and varied), this book is scholarly and illuminating, on the one hand, and a thoroughly enjoyable read, on the other." "Original, well researched, timely, and well written. . . . In short, The Gaia Hypothesis is highly recommended reading."